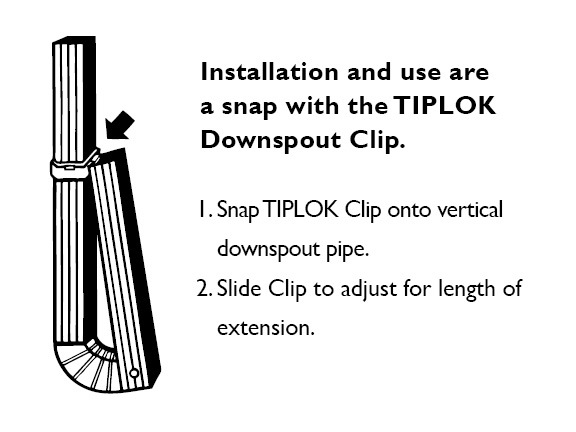 Installation and use are a snap with the Tiplok Downspout Clip. Follow the installation instructions below, or download the instructions here . Snap Tiplok Clip onto vertical downspout pipe. Slide Clip to adjust for length of extension. For more information on creating a flip-up downspout, click here .